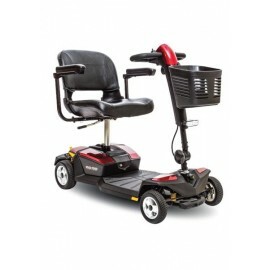 Pride Go Go LX4 This is the best pull apart scooter that we have seen in a long time. Pride have done their home work here. 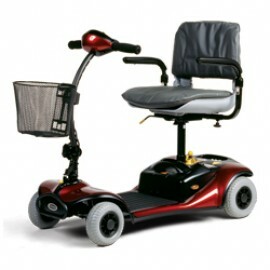 It has Comfort Trac Suspension (independent front and rear suspension), a sleek style with changable colour panels,red and blue and with the charger port on the ..
YOGA • Strong light-weight alloy aluminum frame designed for easy folding and carrying • Small foldable scooter for easy storage and transportation • Lightweight 24v Li-ion battery with quick charge 2a off board charger • Height and angle adjustable steering tiller to fit individual users • I..
GO-GO ELITE TRAVELLER PLUS The Go-Go Elite Traveller Plus was designed to bring travel scooters to a greater range of people than ever before. An increase in length and width and a weight capacity of 147kg combine with a wraparound easy-drive tiller to allow both the larger individual and those wit.. The SHOPRIDER QT8-4 The Shoprider Little Beauty portable scooter is the newest portable scooter model to be added to the Shoprider range. 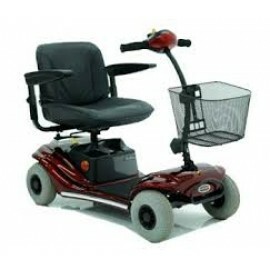 The little Beauty has a number of features that will make it a very popular with users, upgradeable battery size to 20amp, increased leg / foot room a..
SHOPRIDER GK9 Crossover The Little Ripper is a fully portable model that offers exceptional functionality for each user. 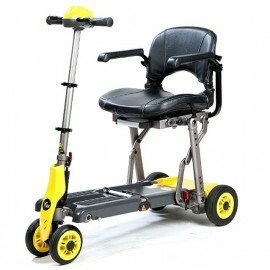 The Little Ripper has many features found on the larger scooters with the added benifit of its easy pull apart design. 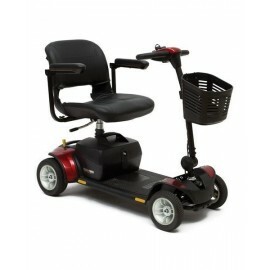 Features include puncture proof tyres, mid back fully rot..